This elegant three-arm chandelier was produced in France in the late 1930s. 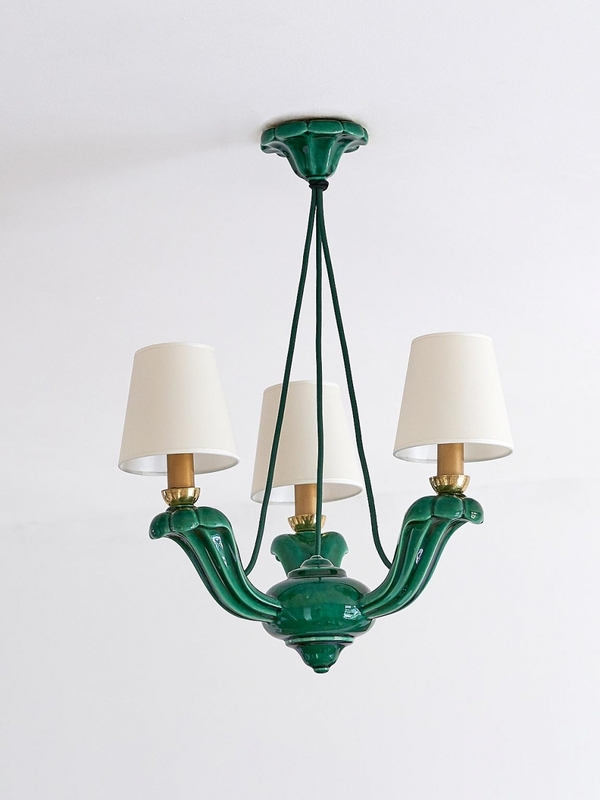 The chandelier and matching ceiling cup are in a green glazed ceramic. The ivory lamp shades have been custom made. The lamp has been rewired. The chandelier itself is in excellent condition. There is a minor crack in the ceramic ceiling cup, which is only noticeable from up close. Ceiling cup and overall height can be altered if desired. The lampshades are new.